This summer not one, but two books about Everett Ruess, the 20-year-old aspiring writer and wilderness explorer who disappeared without a trace in 1934, are being released. 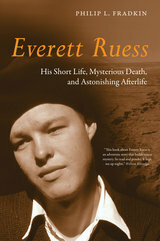 One is Philip Fradkin’s Everett Ruess (UC Press), which goes beyond the myth of a romantic desert wanderer to reveal the realities of Ruess’s short life and mysterious death, weaving in excerpts from his letters and diaries. The other, David Roberts’ Finding Everett Ruess (Broadway), is a biography of Ruess that also tells the story of the investigation and continuing mystery of his disappearance. Both books were reviewed by Micheal J. Ybarra this week in the Wall Street Journal. Ybarra compares the relative strengths of each work, and peppers in some of the more evocative details of Ruess’ journey, for instance, “the only other possible trace of the young Ruess was a puzzling inscription in a nearby cave: ‘Nemo 1934.’ Latin for ‘no one,’ nemo could have been a reference to a scene in Homer’s ‘Odyssey,’ a copy of which his parents had recently mailed to him, or perhaps an evocation of Capt. Nemo from ‘Twenty Thousand Leagues Under the Sea’…”. 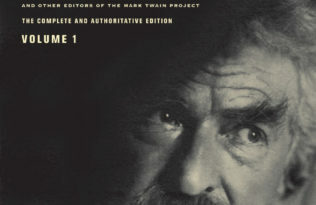 Read Chapter 2 from Everett Ruess at ucpress.edu, and learn more about author Philip Fradkin at his website. Fradkin was also featured recently on KQED’s Forum, where, with his son, photographer Alex Fradkin, he discussed his new book The Left Coast: California on the Edge.